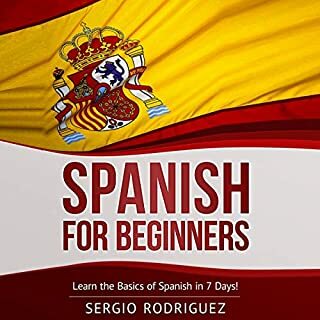 Learn Spanish: 2 Books in 1! 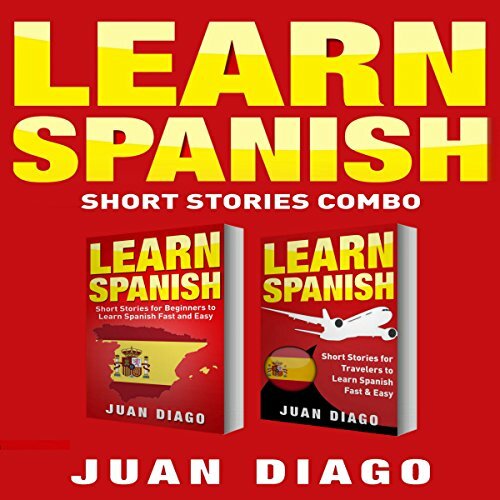 Learn Spanish, Learn Spanish With Short Stories: 3 Books in 1! Let's face it: the language market is changing. English has been the lingua franca for a while now, but it's not going to always be that way. It's projected that Chinese or Spanish might take over the English language as the lingua franca in the next century. So it makes sense that you're searching this book: Spanish is an in-demand language to know. By knowing Spanish, you're opening the door to communication with hundreds of millions of more people than you could speak with before. Learn Languages & Learn French & Learn Spanish: Language Learning Course! This audiobook uses a combination of orthodox immersion methods in order to make you go in one end a complete newbie to a language, and come out the other a fluent speaker. 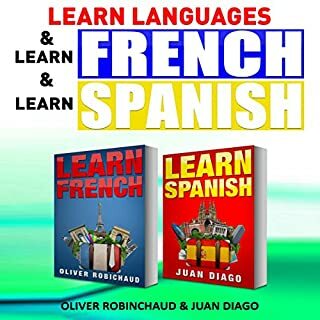 It won't be any shortage of work on your part, but this audiobook is going to set you up with all the tools that it possibly can, so that you can be a fantastic speaker of a second language in as short of a time as a few months. 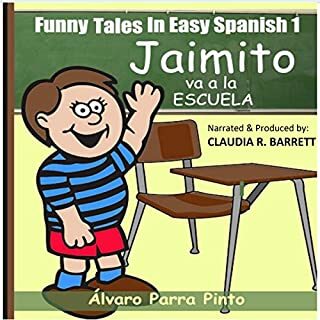 This fun and entertaining audioobook was written in simple, easy Spanish for beginning and intermediate-level language students. Fun and easy, the text was edited and simplified to increase language comprehension using simple wording, short sentences, and moderate, elementary-level vocabulary. Creativity is in our bones. It is found in our very DNA, something not known to Leonardo da Vinci or anyone else who lived in his day and time. All he did was to uncover the hidden genius which lay within himself, and he used that inner genius to the very best of his abilities. 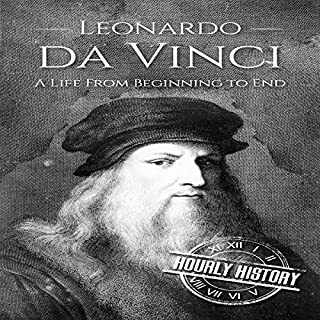 Leonardo da Vinci is best known for some of the world's most masterful paintings, but he was so much more than merely another artist with paints and brushes. Born to a peasant woman in 1452, Leonardo would go on to astound the world he lived in with his artistry and his inventions. El amor es como el buen café: ardiente, poderoso, puro, amargo y dulce. Para apreciarlo hay que acostumbrarse a él sorbo a sorbo y solo se disfruta plenamente después de descubrir hasta sus más pequeños matices. Una pequeña cafetería y una gitana de inquietantes ojos verdes escoltan las historias de una estudiante universitaria inadaptada, dos profesionales en la treintena obsesionadas por el éxito personal y un jubilado torturado por la pérdida que aún tienen mucho que descubrir. 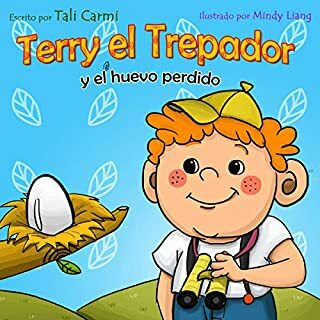 Este divertido cuento infantil es acerca de un niño pelirrojo y con pecas llamado Terry, al que todos llaman Terry el Trepador porque adora treparse a los árboles. Terry se encuentra un huevo pequeño y su misión es llevarlo a casa con su mamá. The book Spanish for Beginners was designed to help you learn Spanish and bridge the communication gap in as fast as one week. It was written with the self-learner in mind and organised to help listeners understand and speak the language confidently within a short span of time. This learning material will prove that by identifying the most important features of a language and by applying proven techniques and strategies to language learning, anyone can master the basics of the language and use this knowledge base to start speaking confident Spanish in as little as seven days. 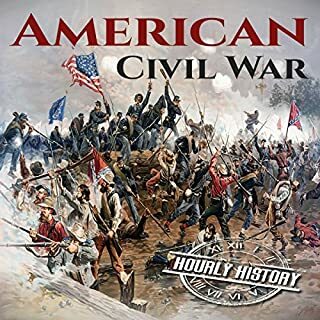 Beginning with the birth of the nation, slavery divided and caused conflict for the United States of America, worsening during the country's early decades as the practice became more economically vital. Finally, in 1861, the American Civil War erupted after the election of President Abraham Lincoln. Never acknowledging the South’s right to secede, Lincoln and the North fought the South through four long, bloody, destructive years; much longer than anyone thought the war would last. The Aztec Empire did not recoil from the face of an impending doom, it struggled faithfully. Destined to emerge from humble beginnings, it grew into a highly complex devoted civilization refusing to live at the mercy of more neighboring powerful rulers. Its powerful pochteca combed the valley for luxury items while markets dotted their lands. 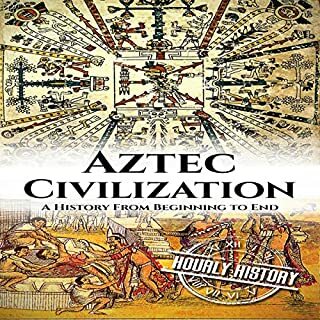 Investigate the era of the Fifth Sun and what defined the Aztecs and their relationship with the divine. This guide succeeds in presenting an overall sketch of the creation of the world and the battles that follow, resulting in Zeus taking his place as the supreme god and ruling the earth from Mount Olympus. 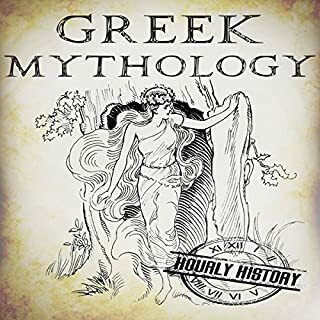 It covers the creation of man, it seems as a bit of an afterthought for the amusement of the Olympians, and some of the most famous stories that have come down to us via the writings of the great dramatists of the Classical Age. 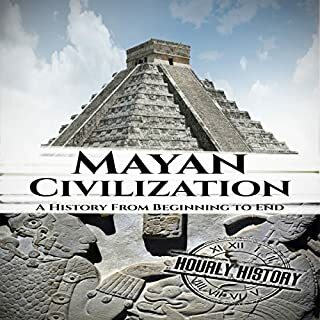 This audiobook explores the glories and misfortunes of the Maya civilization and provides a deeper look at their pre-Columbian battling dynasties and their highly structured approach to religion, science, and society. How to build muscle and burn fat … without morphing into a big, bulky bodybuilder. Have you failed to get in great shape after weeks and months of going to the gym? Do you lack confidence in the gym, feel too weak, or feel self-conscious about the current shape of your body? Are you put off lifting weights because you don’t want to end up with the bulky, overgrown bodybuilder look? No need to worry. 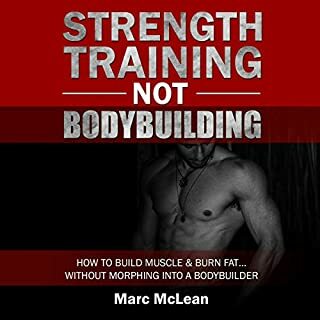 This book is all about strength training NOT bodybuilding - and yes there is a difference. What does it mean to be great? There have been many that have come through the sands of time proclaiming their own greatness. We see it in the news every day - leaders, heroes, tyrants, and even reality star presidential candidates claim that they are great. 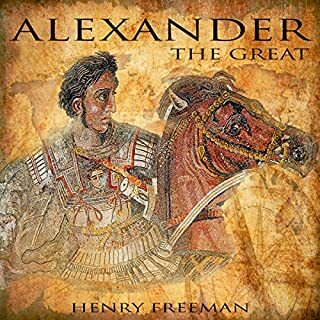 But what about Alexander the Great? Have you ever wanted to learn Spanish and have fun at the same time? Most of the time, teaching books are boring. They always have the same kind of format: Two (sometimes more) people talking about where the library is, or where to find Juan. That’s boring, and to be honest, it’s not a great way to learn the language (not to mention that they don’t always talk about things that you might encounter in your daily life, for example, a judgmental ghost, being the last man on Earth, or maybe find that the love of your life has been stolen). 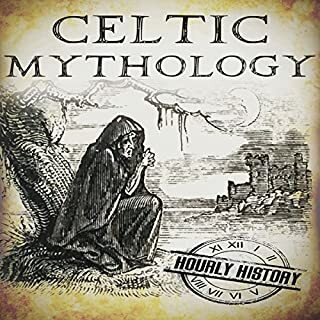 This introduction to Celtic mythology will serve the novice well - for it is a complicated history with the earliest written records destroyed by the marauding Vikings. The oral tradition harks back to 4000 BCE and is a compilation of myths and cultures of many different peoples. Whatever aspect of this rich, mystical, and lavishly embellished heritage you would like to investigate further, you will find the author has supplied a marker to guide you on your way. 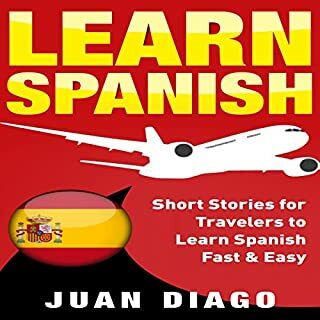 This audiobook covers multiple scenarios that you will run into as a traveler, such as picking bags up at the airport, purchasing food at a restaurant, and going shopping. By including stories that will teach you things after multiple listens, it also offers limitless potential in terms of what it enables you to say. After one listen, you will feel confident with your basic Spanish. 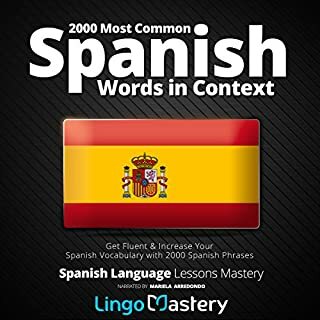 More listens will teach you extra vocabulary and help you intuitively and effectively pick up Spanish sentence structure. 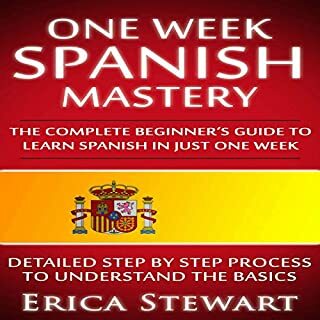 Discover how to learn Spanish in just one week with this easy-to-learn method. This is a proven step-by-step method to learning Spanish as an English speaker. More than 1000 common phrases included. OK for what it is. 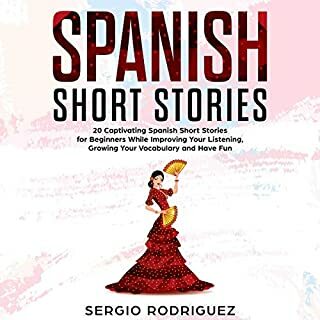 Learn Spanish with short stories volume one and two! Are you looking for a fantastic and in-depth way to learn a new language? Why not treat your brain and go about it the natural way? That’s right, your brain has a natural way of learning language, and you simply aren’t taking advantage of it. Our brains are hardwired to act on a complex system of concepts and context clues to figure out language. Therefore, most polyglots in the world will tell you that the absolute best way to learn a language is by simply immersing yourself in it. 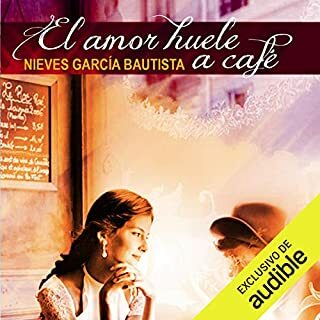 With this audiobook, you’ll be going through different short stories, all of which following the story of a girl named Maria and her kind family from El Salvador. Throughout the short stories, you’ll be challenged and pushed to your limits - that’s how you know the method is working. You’ll never be left in the dust, but you will most certainly be immersed in the beautiful Spanish language. After every short story, there’s an English version, in case you got totally lost, and a section with grammar tips and vocabulary to help you round out every short story with a proper lesson. So, you’re going to be hitting the road (or taking to the skies) and ending up somewhere that speaks Spanish. Before you get there, you want a book that will help you feel up to speed with a lot of the phrases that you’ll need as a traveler in Spanish-speaking countries. You’ve found the perfect match. This audiobook covers multiple scenarios that you’re going to run into as a traveler, such as picking bags up at the airport, purchasing food at a restaurant, and going shopping. It also offers limitless potential in terms of what it enables you to say by having the stories be set up in such a way that you’re still learning things even after multiple listens. 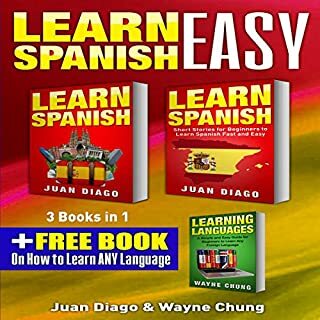 One will have you feeling confident in your basic Spanish - more will have you learning extra vocabulary and picking up Spanish sentence structure intuitively and effectively. Learn Spanish: 4 Books in 1!